Updated 30 August 2014: Morris announced he's resigning to pursue entrepreneurial interests, Knoxville News Sentinel reported today. Our 2012 story on Morris' appointment is below. -Ed. ENTREPRENEUR John Morris will succeed Mike Cuddy as CEO of Tech2020, the nonprofit Oak Ridge-based venture- and technology-development organization. Morris, 52, was named CEO during the Jan. 26 meeting of the Tech2020 board of directors. He previously served three years as vice president for Tech2020's Center for Entrepreneurial Growth (CEG), which provides mentoring and other services to startups in the seed- and early-stages of growth, in Tennessee, Kentucky and North Carolina. Cuddy, 66, has not yet announced his plans. Background on 17-year-old Tech2020 was previously reported by VNC. Morris told VNC Tech2020 will be increasingly venture-focused. The organization is contemplating new initiatives, including launching a regularly scheduled series of venture-oriented networking meetings; and, among other things, expanding its Throttle-Up business-plan and investor-pitch events, with the addition of cash awards and expanded mentoring services. Prior to joining the CEG, Morris was president/CEO of a startup he joined soon after its inception: Sunlight Direct Inc., which focused on commercialization of hybrid solar lighting and concentrated photovoltaic systems. It was an Oak Ridge National Laboratory tech licensee. Earlier, Morris was CEO of NetLearning, which provided learning management systems technology and services for customers in the acute-care healthcare delivery sector. NetLearning sold to Thomson Delmar Learning. The Tech2020 board also announced Tech2020 Chairman Mike Carroll (MK Technologies) is being succeeded in that post by Fred Tompkins, Ph.D., the former CEO of the University of Tennessee Research Foundation (UTRF), who is a distinguished professor in biosystems engineering in the UT College of Agricultural Sciences and National Resources (CASNR), where he once served as interim dean, according to information on the UT website. UT-educated Tompkins' earlier career include serving as academic-program facilitator for the Technopreneurial Leadership Center (TLC), a two-year initiative that no longer operates, but which produced at least 13 startups, according to information online. Worth noting, also, is that in autumn 2011, months ahead of the Tech2020 leadership change, former Tech2020 CEG Director Geoff Robson, age 45, departed to launch 3 Degrees Business Development LLC, a consultancy which Robson solely owns and which is at proof-of-concept stage, Robson told VNC over the weekend. Robson declined to elaborate. 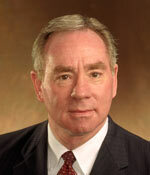 Morris said Robson retains a contractual role with the CEG. Other sources indicate Robson may consult the Knoxville-based regional accelerator now in-formation, possibly focusing on communications with potential startup investors; and, may remain allied with Venture INCITE, the Solidus-backed tech-commercialization venture based in Oak Ridge-Knoxville. The Tech2020 board last week also added new members: Teri Brahams (Pellissippi State CC), John Eschenberg (US DOE), Arlene Garrison (Oak Ridge Associated Universities), Chris Mainini (Radio Systems), Mark Watson (City of Oak Ridge), and Jill Van Beke (TN ECD). The Tech2020 board listing will be updated here. 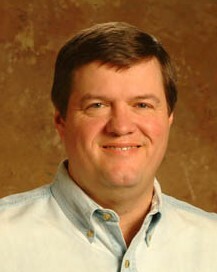 Earlier in his career, Morris developed the NetLearning business model while associated with Consultec Scientific, a Knoxville-based tech commercialization company, of which he held CEO and other roles during a four-year period.